ICFO creates exhibitions in different formats about Photonics and its applications, conceived and designed to capture attention, raise interest and increase the visibility of the field. Some of ICFO’s exhibitions have been showcased in science museums. The Top Ultra-Secret exhibition was visited by thousand of citizens in the science museum CosmoCaixa in Barcelona. Likewise, Photonics: the Power of Light exhibited for several weeks in the Palau Robert, one of the most important exhibition venues in Barcelona. This exhibition can be borrowed in an easily transportable and installable format. If you are interested, please contact us at outreach@icfo.eu. We also team up with artists to produce exhibitions that use art to communicate science. The Pull – push: a world moved by light exhibit was created in collaboration with British artist Andrew Chappel and was exhibited during several months in Espai Cultura Fundació Sabadell 1859 in Sabadell. 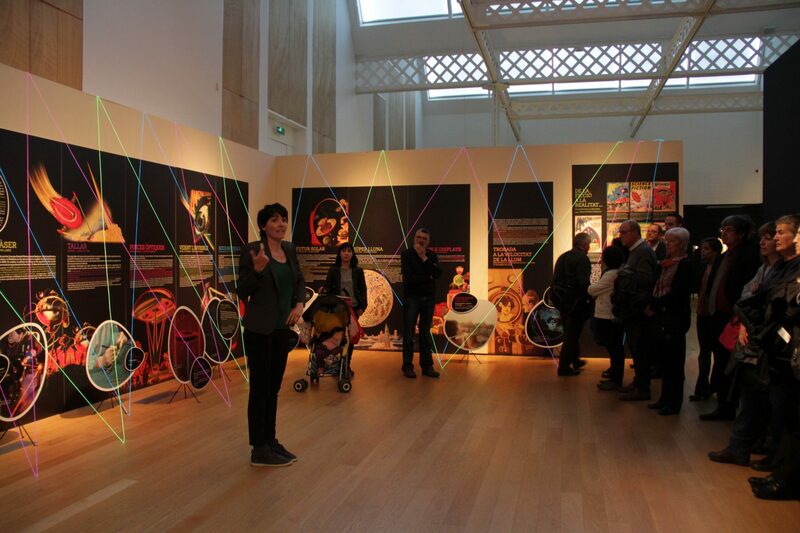 If you are interested in teaming up with us in the creation of an exhibition or would like to have an exhibition about photonics in your museum, school or institution, contact us at outreach@icfo.eu.